Some of the more serious causes could be disc injury, fracture, tumour or infection. 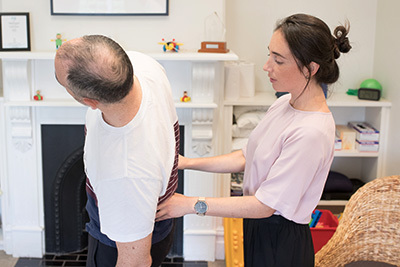 Osteopaths work to treat and manage back pain by improving joint mobility, reducing muscular tension and inflammation, improving blood supply and drainage in the surrounding area, offering advice on posture and stretching as well as ergonomics, providing guidance on appropriate diet, hydration and exercise. If you’re dealing with back pain, it doesn’t have to last forever. Contact our practice today to book your first visit with us.